When you think of the Gold Coast, you think of gorgeous sun kissed beaches, scintillating nightlife and enormous amounts of shopping. If you are in the mood to experience all this and more, then drive over to the Oceana on Broadbeach in one of our car hire on the Gold Coast cars and stay in a wonderfull place, enjoy it all! 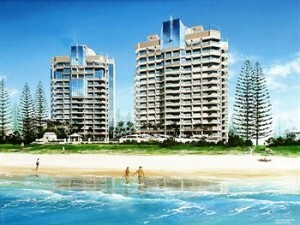 Oceana on Broadbeach provides guests with architecturally stunning apartments, which spell luxury and comfort. There is a choice of one and two bedroom, three-bedroom mini sub penthouse as well as three and four bedroom sub penthouses. Each apartment is guaranteed to be incredibly spacious, with private balconies, from where guests can savour the spectacular sights of the Gold Coast. Quite understandably, you would not to involve yourself in any cooking, while on a holiday. And this will not be a problem, because you will be able find some of the finest restaurants, coffee houses and eating joints, within walking distance. However, if you enjoy cooking for your family, there is a fully equipped kitchen in each apartment. The barbecue area is a wonderful place to get together with your family and friends to have a fun meal! Most of the people come to Gold Coast for the sun, sand and surf – all these you will be able to find, as soon as you step out of the Oceana on Broadbeach! Almost all the beaches are patrolled, which means you can indulge in your share of fun, without any fear. However, if you are looking for a fun time with your family, there are plenty of other options available. Head down to theme parks such as DreamWorld, SeaWorld or MovieWorld and enjoy a day filled with adventure rides and games. The Oceana on Broadbeach is a fantastic destination for families and couples alike! Posted on 04/02/10 at 11:14 am	in Gold Coast, Gold Coast Accommodation. Follow comment RSS 2.0 feed.